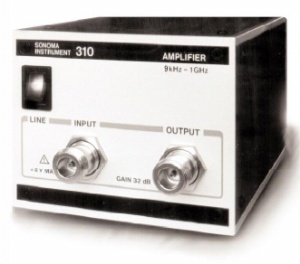 The Agilent 11909A amplifier improves receiver and spectrum analyzer sensitivity. It is ideally suited for use with the Agilent 11940A and Agilent 11941A close-field probes to detect low-level emissions from a device under test. Radiated emissions from measurements using a spectrum analyzer and antenna are improved by the increased sensitivity that this unit offers.